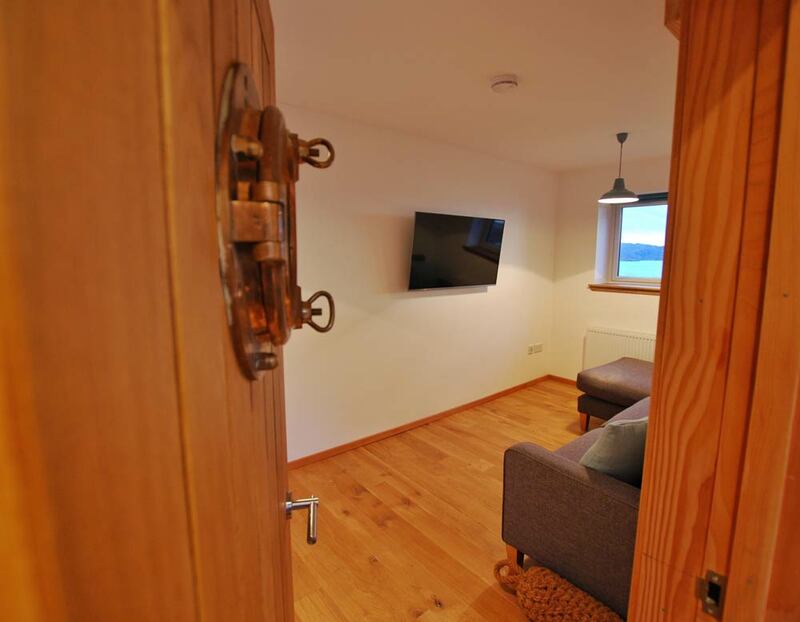 Shore Cottage sleeps up to 6 people in 3 bedrooms, with 2 bathrooms. 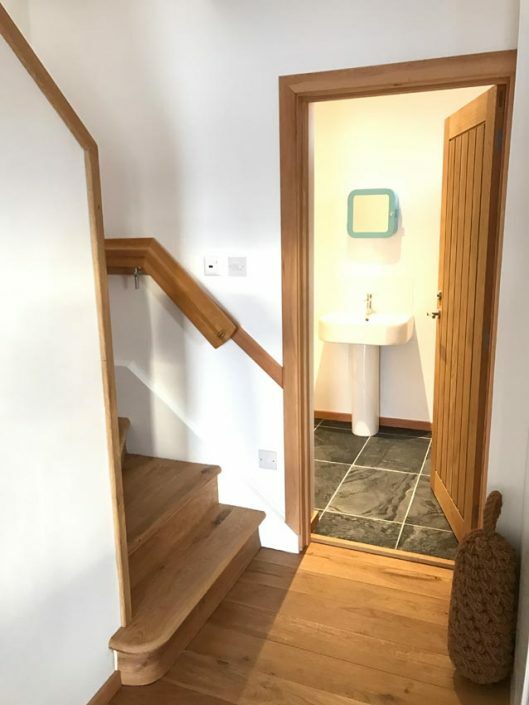 The downstairs is of an open plan design, but is still cosy and relaxing. 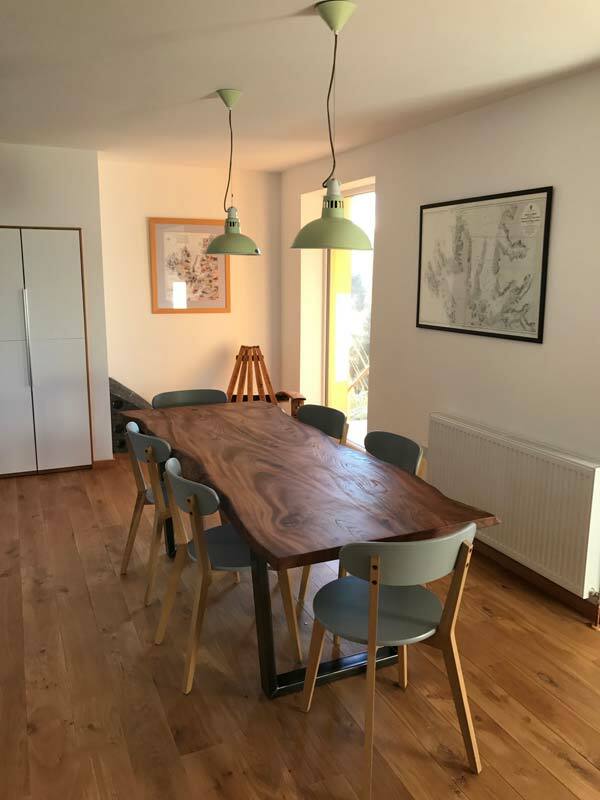 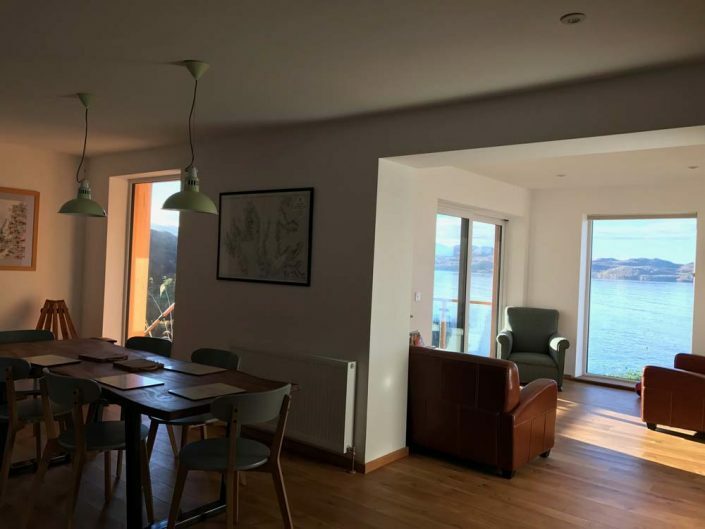 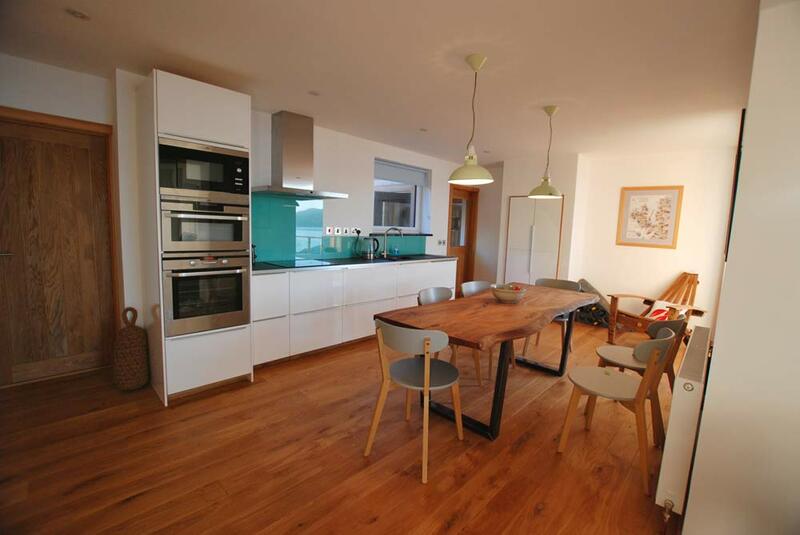 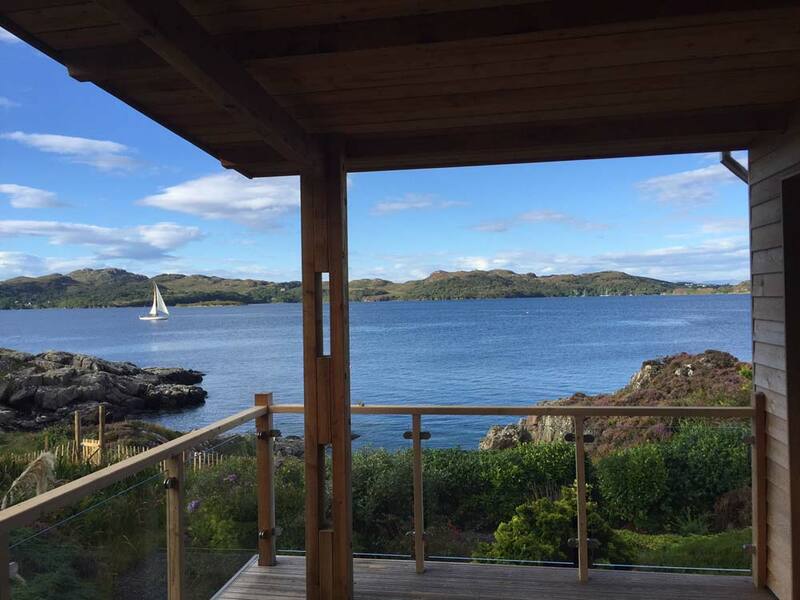 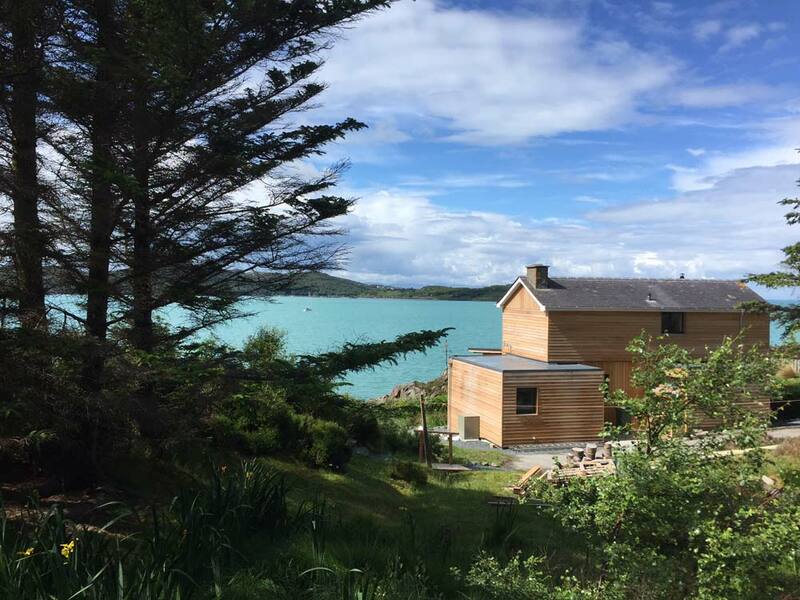 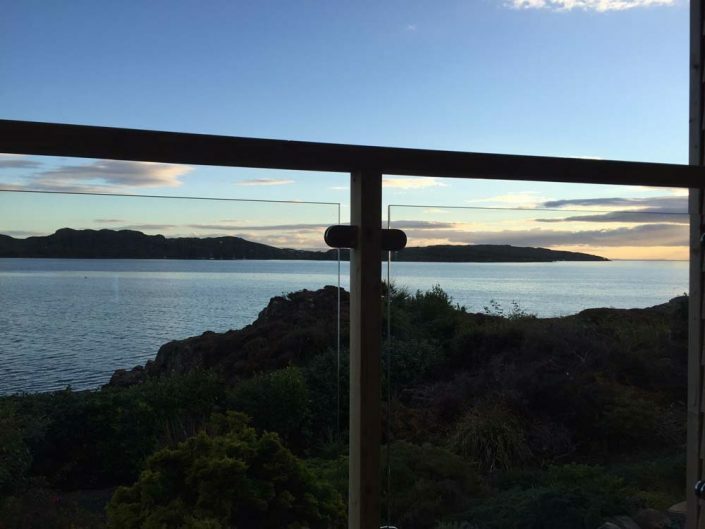 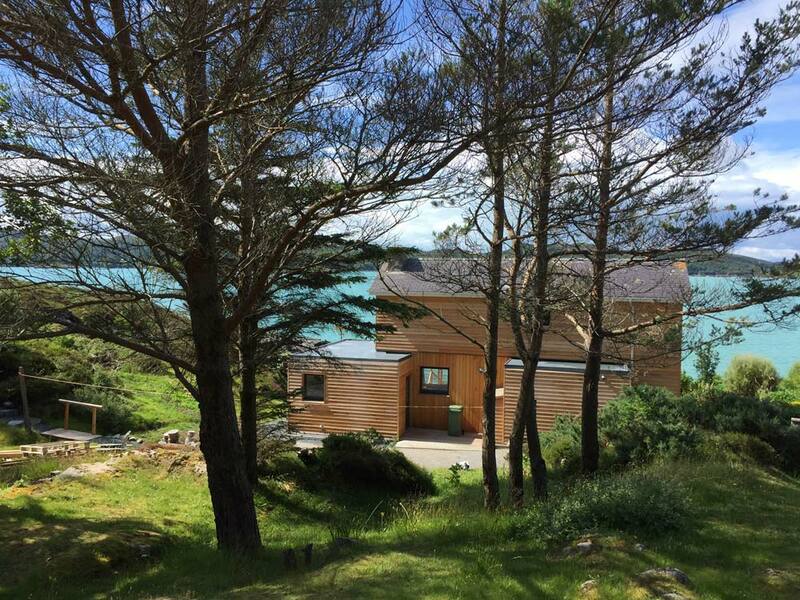 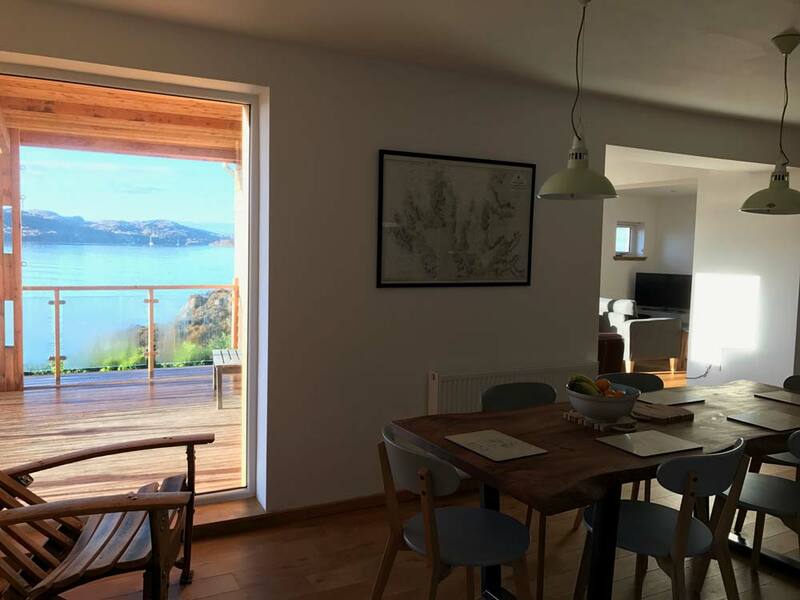 There is a large kitchen/dining area with 2 built in ovens and a microwave, a induction hob, dishwasher, a beautiful individually designed dining table and amazing views over the deck to the sea. 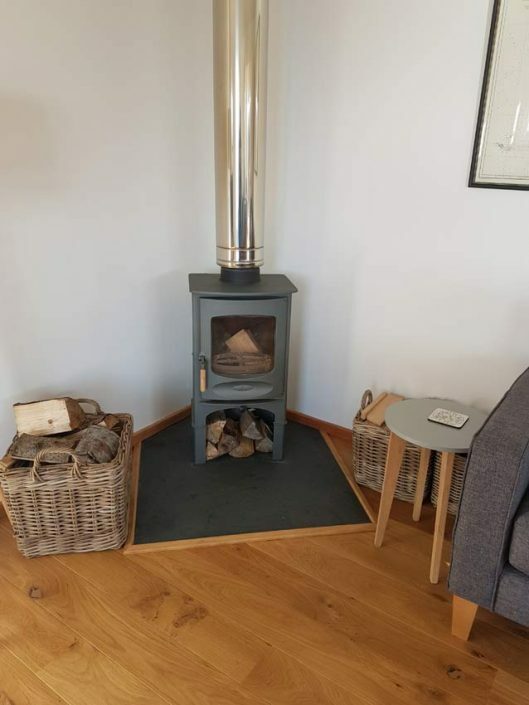 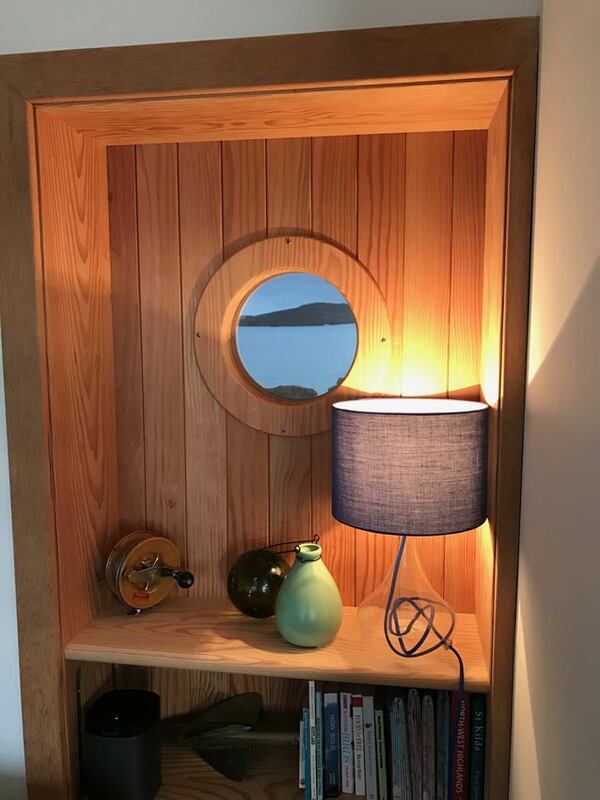 The sitting area is large with 2 separate sitting rooms, which allows plenty of space and comfort to enjoy the sea view, the warmth of the log burning stove and to relax with the TV. 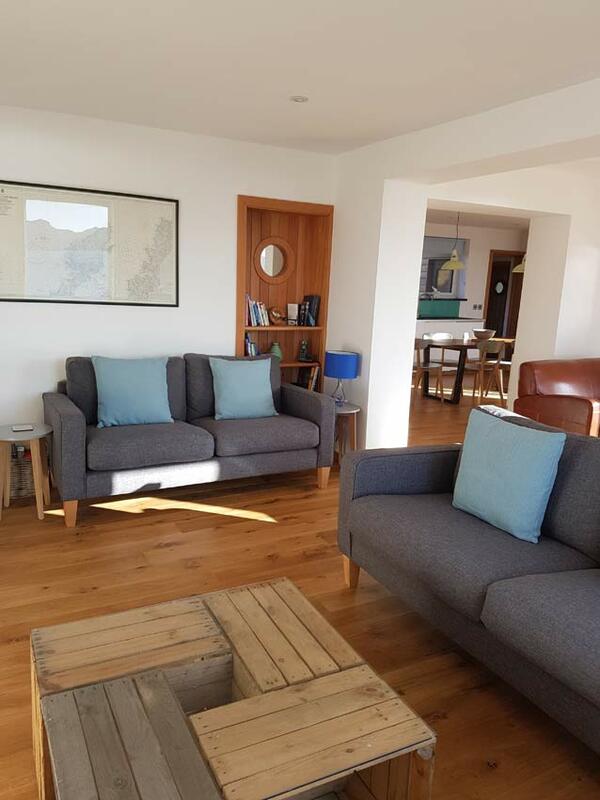 There is a Bluetooth music system, DVD player, Apple TV, Freesat and high speed wifi. There is a separate comfortable TV room/den leading off from the kitchen with large flat screen TV, allowing additional choice when deciding what to watch on TV, and additionally a quiet place to relax or play games. 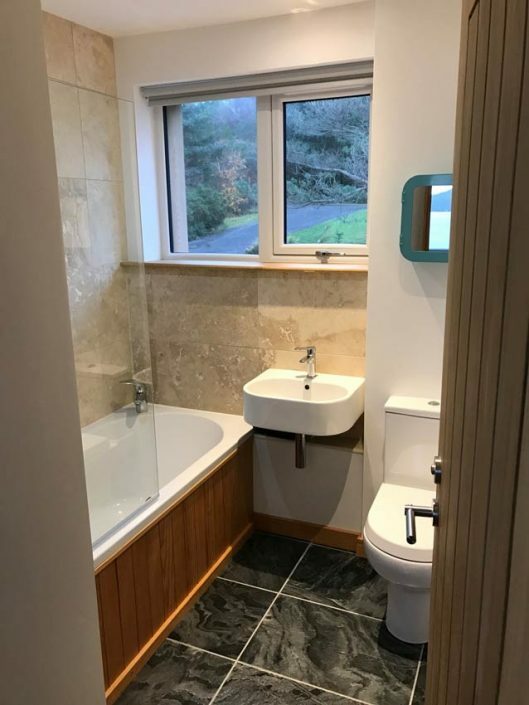 This room also houses the utility area with washing machine and tumble dryer. 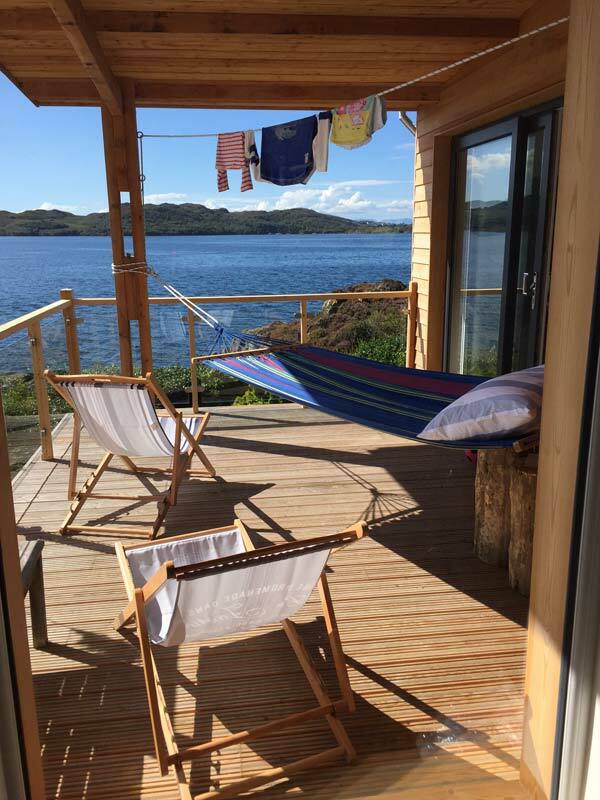 The beautiful covered deck can be accessed from the living room, which allows the view to be enjoyed outside, whatever the weather! 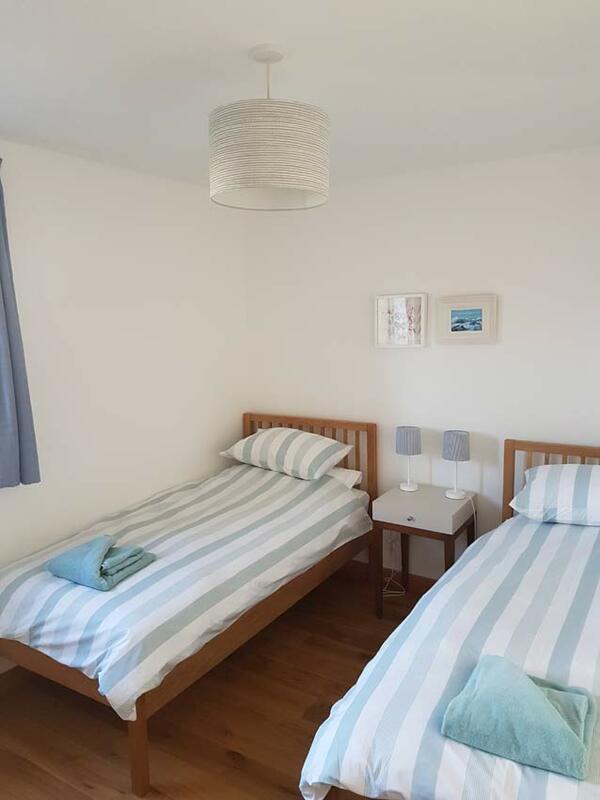 There is a large shower room and a comfortable twin bedroom located downstairs. 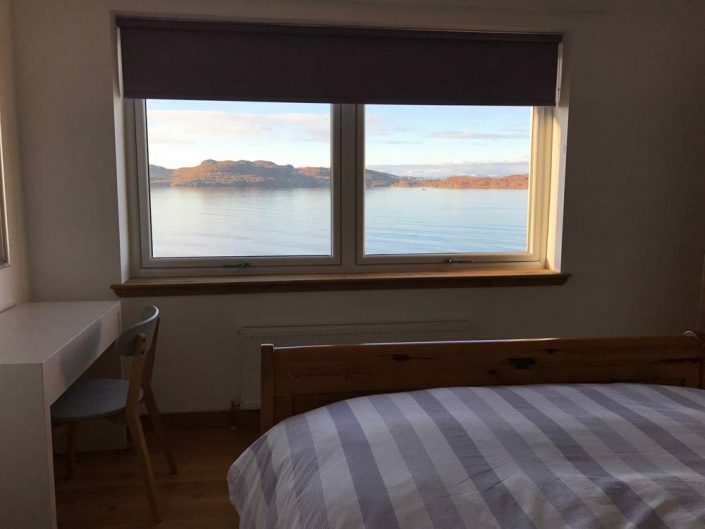 Upstairs, the master kingsize bedroom has a stunning view – the window was enlarged to allow a view of the sea while still in bed! 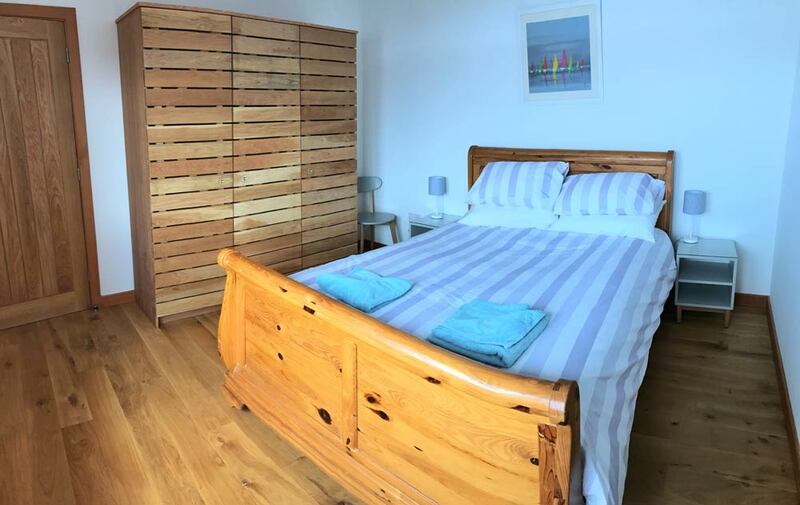 Across the hall there is another bedroom with kingsize bed and beautiful sea views. There is a separate bath and shower room upstairs.